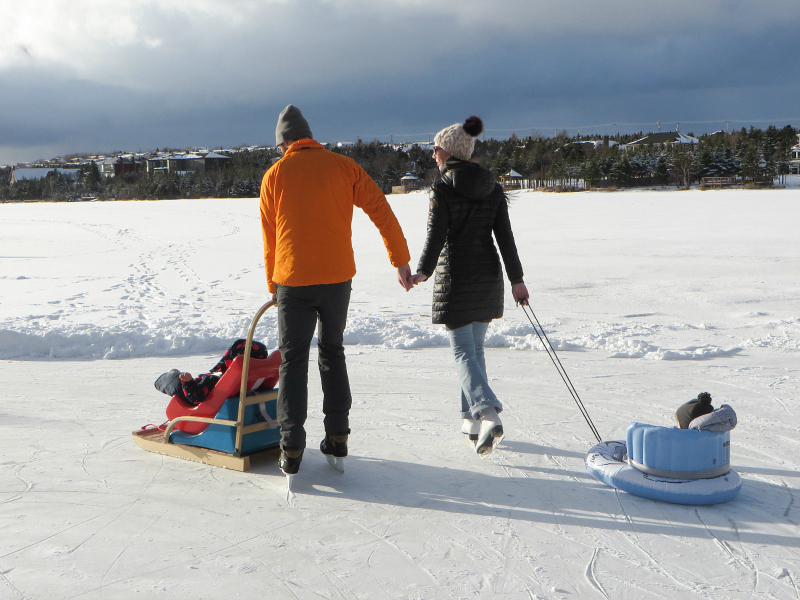 Early in the New Year, Andrew and I got out for a skate on Virginia Lake with all three of our children, and it was one of those experiences we will remember forever. 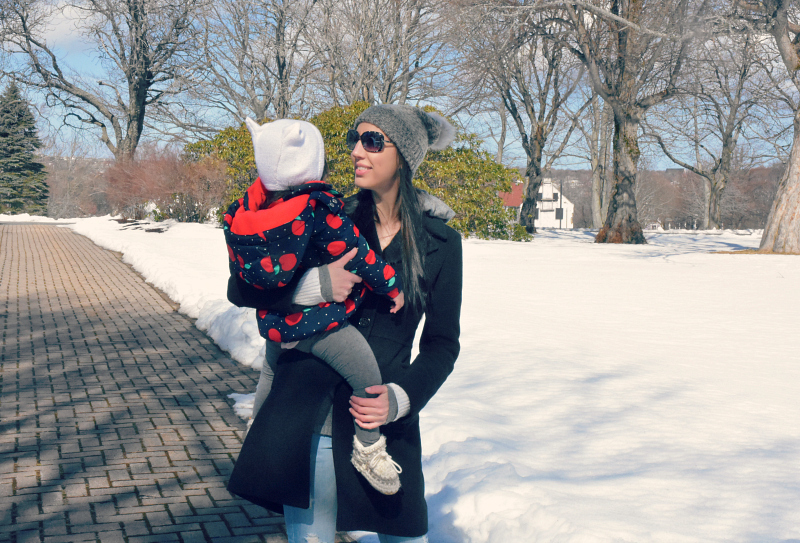 I am always a little skeptical of how days like this will go, especially when getting everybody dressed, and the bundling with all the layers seems to take forever, but it was magical. 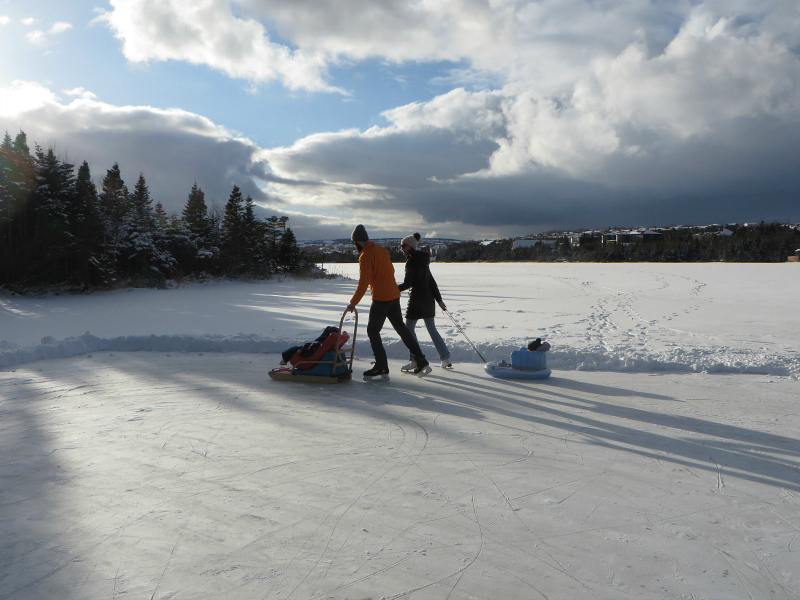 We had the perfect weather conditions, the perfect ice surface, the perfect outdoor fire, the perfect day. 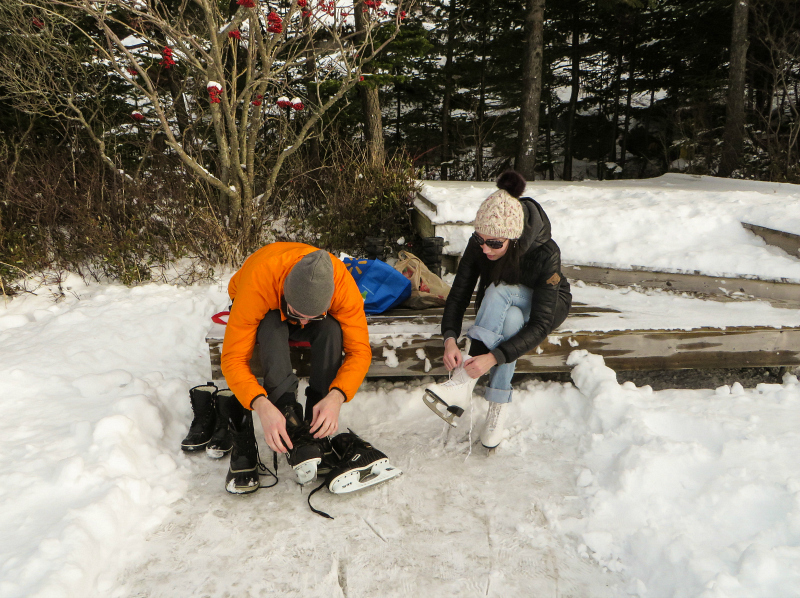 And we were looking forward to many more days full of wonderful outdoor winter activities just like this one! We had borrowed a sledge from Easter Seals with the best of intentions to take our little ones to a family skate at the indoor double ice complex, and I had big plans for Andrew and I to spend every cold, crisp day outside pulling our children in sleds through the snow. It was going to be great! Honestly, this cold and flu season has really been kicking our butts. Our girlie was admitted to the hospital several times last month with a series of pretty terrible respiratory infections. 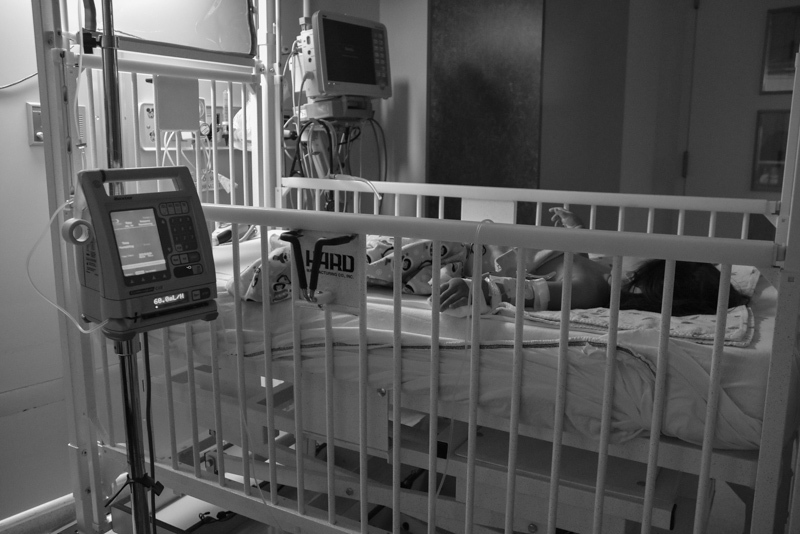 We spent a total of 13 nights in the hospital, watching the monitors and keeping a close eye on her oxygen levels. It's been going around, and all of us had some form of a cold, but with her weakened immune system, everything just hits her ten times harder than it does the rest of us. To be honest, having her in an isolation room at the hospital was safer than being at home, where the rest of us were sick as well. It's been an intense few weeks. Our new house is not yet ready, so we are still staying with my parents. That means there's been seven of us in the same house breathing cold germs on each other. Not ideal. Our girl seems to have turned a corner this week, and is on the mend, thankfully. 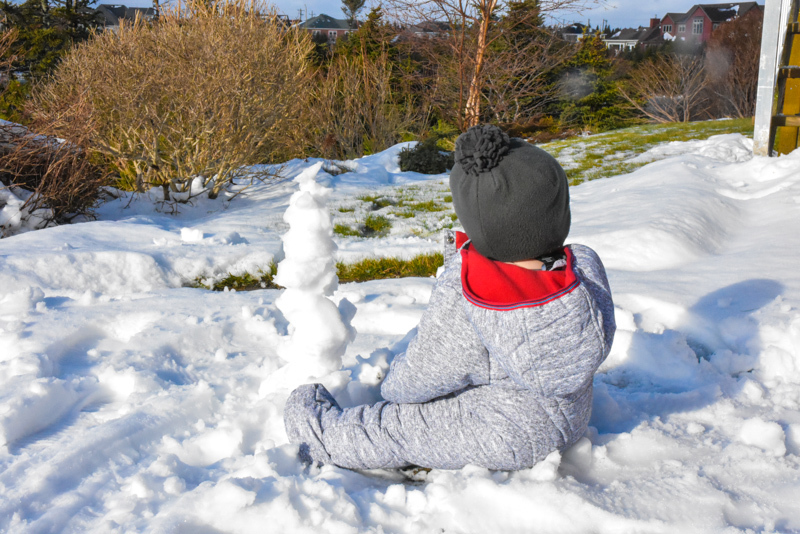 We are hoping to be able to get out and enjoy the last bits of winter while there is still snow on the ground and everyone is feeling well. 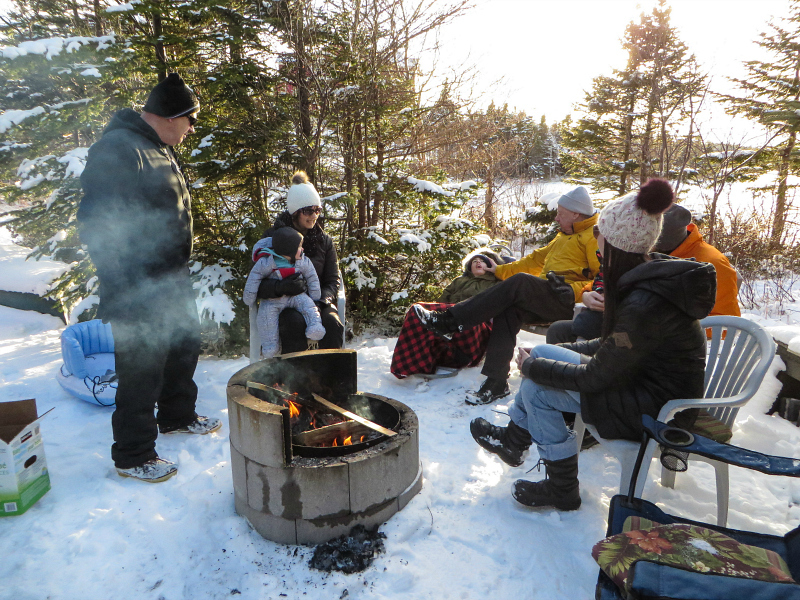 Our long winters in Newfoundland are so much more bearable and enjoyable when you can get out and take advantage of the beauty of our natural surroundings. These past few weeks have been even more emotionally charged because our littlest babe has just transitioned out of our home and in with his new adoptive family. This requires it's own post, and I am working on that, I just need a little time to sit with my thoughts and feelings and process all that has happened over the past couple of weeks. It's been a wild ride, let me tell you. As emotional as it's been, seeing our children happy and healthy and thriving in this life helps me confidently say, it is so worth it. Every day is an adventure, and some days are complex and painful and really damn hard, but we are grateful, and wouldn't trade this path for any other.